SNC-Lavalin Group Inc. (TSX: SNC) announces that its full year 2018 results will be lower than expected and announced on January 28, 2019 (www.snclavalin.com/en/media/press-releases/2019/snc-lavalin-announces-lower-than-anticipated-q4-results-impacting-full-year-2018.aspx), due to the inability to reach an agreement with the Company’s client on the Mining & Metallurgy project indicated in the January 28th press release. Following further negotiations and discussions with the Mining & Metallurgy client in question subsequent to January 28, 2019, the parties have agreed to settle the dispute through an accelerated arbitration process, out of which the Company currently expects significant recoveries in the future. Management concluded that having the project claims fast-tracked into arbitration by an independent third party was the appropriate alternative, given the circumstances. In the meantime, SNC-Lavalin will continue to work to complete the project. Due to the fact that SNC-Lavalin cannot achieve the necessary required level of agreement at this time with the client to meet the IFRS standards for revenue recognition, the loss in the Company’s Mining & Metallurgy Segment EBIT(5) will be higher in 2018 than the Company expected or could have known on January 28, 2019. The challenges on this mining project are mainly due to unexpected site conditions, greater than expected environmental and safety measures, and under-performance from sub-contractors. As the Company expects some recoveries in the future, significant of the current write-downs on the project should not be considered a permanent write-off until the arbitration process is concluded. The project is located in Latin America and is anticipated to be completed in the second quarter of 2019. Due to the negative impact from the above-mentioned project, the Mining & Metallurgy fourth quarter Segment EBIT(5) will be up to negative $350 million. More details on the Company’s 2019 guidance will be provided in its upcoming fourth quarter earnings release, on February 22, 2019, at which time the Company will also provide further details concerning its 2018 results during the conference call and webcast. The above updated outlook is based on the assumptions and methodology described in the Company’s 2017 Management’s Discussion and Analysis under the heading, “How We Budget and Forecast Our Results” and the “Forward Looking Statements” section below and is subject to the risks and uncertainties summarized therein, which are more fully described in the Company’s public disclosure documents. (1) Adjusted diluted EPS from E&C is defined as the adjusted net income from E&C(3) divided by the diluted weighted average number of outstanding shares for the period. (2) Adjusted consolidated diluted EPS is defined as the adjusted net income from E&C(3) plus the adjusted net income from Capital(4) divided by the diluted weighted average number of outstanding shares for the period. (3) Adjusted net income from E&C is defined as net income attributable to SNC-Lavalin shareholders from E&C, excluding charges related to restructuring, right-sizing and other, acquisition-related costs and integration costs, impact of U.S. corporate tax reform as well as amortization of intangible assets related to business combinations, the net expense for the 2012 class action lawsuits settlement and the gains (losses) on disposals of E&C businesses and the head office building. E&C is defined in the Company’s 2017 financial statements and Management’s Discussion and Analysis. The term “Adjusted net income from E&C” does not have any standardized meaning as prescribed by IFRS. Therefore, it may not be comparable to similar measures presented by other issuers. Management uses this measure as a more meaningful way to compare the Company’s financial performance from period to period. Management believes that, in addition to conventional measures prepared in accordance with IFRS, certain investors use this information to evaluate the Company’s performance. (4) Adjusted net income from Capital is defined as net income attributable to SNC-Lavalin shareholders from Capital, excluding the gains on disposals of Capital Investments. (5) Segment EBIT consists of revenues less i) direct costs of activities, ii) directly related selling, general and administrative expenses, iii) corporate selling, general and administrative expenses that are allocated to segments; and iv) non-controlling interests before taxes. Expenses that are not allocated to the Company’s segments include: certain corporate selling, general and administrative expenses that are not directly related to projects or segments, impairment loss arising from expected credit losses, gain (loss) arising on financial assets at fair value through profit or loss, restructuring costs, goodwill impairment, acquisition-related costs and integration costs, amortization of intangible assets related to business combinations, and the net expense for the 2012 class action lawsuits settlement, as well as gains (losses) on disposals of E&C businesses, Capital investments and the head office building. The term “Segment EBIT” does not have any standardized meaning as prescribed by IFRS. Therefore, it may not be comparable to similar measures presented by other issuers. Management uses this measure as a more meaningful way to compare the Company’s financial performance from period to period. Management believes that, in addition to conventional measures prepared in accordance with IFRS, certain investors use this information to evaluate the Company’s performance. Reference in this press release, and hereafter, to the “Company” or to “SNC-Lavalin” means, as the context may require, SNC-Lavalin Group Inc. and all or some of its subsidiaries or joint arrangements, or SNC-Lavalin Group Inc. or one or more of its subsidiaries or joint arrangements. Statements made in this press release that describe the Company’s or management’s budgets, estimates, expectations, forecasts, objectives, predictions, projections of the future or strategies may be “forward-looking statements”, which can be identified by the use of the conditional or forward-looking terminology such as “aims”, “anticipates”, “assumes”, “believes”, “cost savings”, “estimates”, “expects”, “goal”, “intends”, “may”, “plans”, “projects”, “should”, “synergies”, “target”, “vision”, “will”, or the negative thereof or other variations thereon. Forward-looking statements also include any other statements that do not refer to historical facts. Forward-looking statements also include statements relating to the following: i) future capital expenditures, revenues, expenses, earnings, economic performance, indebtedness, financial condition, losses and future prospects; and ii) business and management strategies and the expansion and growth of the Company’s operations. All such forward-looking statements are made pursuant to the “safe-harbour” provisions of applicable Canadian securities laws. The Company cautions that, by their nature, forward-looking statements involve risks and uncertainties, and that its actual actions and/or results could differ materially from those expressed or implied in such forward-looking statements, or could affect the extent to which a particular projection materializes. Forward-looking statements are presented for the purpose of assisting investors and others in understanding certain key elements of the Company’s current objectives, strategic priorities, expectations and plans, and in obtaining a better understanding of the Company’s business and anticipated operating environment. Readers are cautioned that such information may not be appropriate for other purposes. The 2018 and 2019 outlook referred to in this press release is forward-looking information and is based on the methodology described in the Company’s 2017 Management’s Discussion and Analysis (“MD&A”) under the heading “How We Budget and Forecast Our Results” and is subject to the risks and uncertainties described in the Company’s public disclosure documents. The purpose of the 2018 and 2019 outlook is to provide the reader with an indication of management’s expectations, at the date of this press release, regarding the Company’s future financial performance and readers are cautioned that this information may not be appropriate for other purposes. Forward-looking statements made in this press release are based on a number of assumptions believed by the Company to be reasonable as at the date hereof. The assumptions are set out throughout the Company’s 2017 MD&A, particularly in the sections entitled “Critical Accounting Judgments and Key Sources of Estimation Uncertainty” and “How We Analyze and Report our Results”, and as updated in the first, second and third quarter 2018 MD&A. 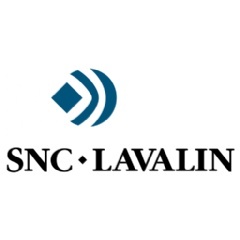 The 2018 and 2019 outlook also assumes that the federal charges laid against the Company and its indirect subsidiaries SNC-Lavalin International Inc. and SNC-Lavalin Construction Inc. on February 19, 2015, will not have a significant adverse impact on the Company’s business in 2018 and 2019. If these assumptions are inaccurate, the Company’s actual results could differ materially from those expressed or implied in such forward-looking statements. In addition, important risk factors could cause the Company’s assumptions and estimates to be inaccurate and actual results or events to differ materially from those expressed in or implied by these forward-looking statements. These risks include, but are not limited to: (a) the outcome of pending and future claims and litigation (including the outcome of the pending arbitration proceedings involving the Mining & Metallurgy client in Latin America referenced herein) could have a material adverse impact on the Company’s business, financial condition and results of operations; (b) on February 19, 2015, the Company was charged with one count of corruption under the Corruption of Foreign Public Officials Act (Canada) (the “CFPOA”) and one count of fraud under the Criminal Code (Canada), and is also subject to other ongoing investigations which could subject the Company to criminal and administrative enforcement actions, civil actions and sanctions, fines and other penalties, some of which may be significant. These charges and investigations, and potential results thereof, could harm the Company’s reputation, result in suspension, prohibition or debarment of the Company from participating in certain projects, reduce its revenues and net income and adversely affect its business; (c) further regulatory developments could have a significant adverse impact on the Company’s results, and employee, agent or partner misconduct or failure to comply with anti-bribery and other government laws and regulations could harm the Company’s reputation, reduce its revenues and net income, and subject the Company to criminal and administrative enforcement actions and civil actions; (d) a negative impact on the Company’s public image could influence its ability to obtain future projects; (e) fixed-price contracts or the Company’s failure to meet contractual schedule or performance requirements or to execute projects efficiently may increase the volatility and unpredictability of its revenue and profitability; (f) the Company’s revenue and profitability are largely dependent on the awarding of new contracts, which it does not directly control, and the uncertainty of contract award timing could have an adverse effect on the Company’s ability to match its workforce size with its contract needs; (g) the Company’s remaining performance obligations are subject to unexpected adjustments and cancellations, including under “termination for convenience” provisions, and does not represent a guarantee of the Company’s future revenues or profitability; (h) SNC-Lavalin is a provider of services to government agencies and is exposed to risks associated with government contracting; (i) the Company’s international operations are exposed to various risks and uncertainties, including unfavourable political environments, weak foreign economies and the exposure to foreign currency risk; (j) there are risks associated with the Company’s ownership interests in Capital investments that could adversely affect it; (k) the Company is dependent on third parties to complete many of its contracts; (l) the Company’s use of joint ventures and partnerships exposes it to risks and uncertainties, many of which are outside of the Company’s control; (m) the competitive nature of the markets in which the Company does business could adversely affect it; (n) the Company’s project execution activities may result in professional liability or liability for faulty services; (o) the Company could be subject to monetary damages and penalties in connection with professional and engineering reports and opinions that it provides; (p) the Company may not have in place sufficient insurance coverage to satisfy its needs; (q) the Company’s employees work on projects that are inherently dangerous and a failure to maintain a safe work site could result in significant losses and/or an inability to obtain future projects; (r) the Company’s failure to attract and retain qualified personnel could have an adverse effect on its activities; (s) work stoppages, union negotiations and other labour matters could adversely affect the Company; (t) the Company relies on information systems and data in its operations. Failure in the availability or security of the Company’s information systems or in data security could adversely affect its business, financial condition and results of operations; (u) any acquisition or other investment may present risks or uncertainties; (v) divestitures and the sale of significant assets may present risks or uncertainties; (w) increased indebtedness as a result of the Atkins Acquisition; (x) dependence on subsidiaries to help repay indebtedness as a result of the Atkins Acquisition; (y) security under the SNC-Lavalin Highway Holdings Loan being called at an inopportune time; (z) ability to pay dividends; (aa) Atkins’ pension-related obligations; (bb) a deterioration or weakening of the Company’s financial position could have a material adverse effect on its business and results of operations; (cc) the Company may have significant working capital requirements, which if unfunded could negatively impact its business, financial condition and cash flows; (dd) an inability of SNC-Lavalin’s clients to fulfill their obligations on a timely basis could adversely affect the Company; (ee) the Company may be required to impair certain of its goodwill, and it may also be required to write down or write off the value of certain of its assets and investments, either of which could have a material adverse impact on the Company’s results of operations and financial condition; (ff) global economic conditions could affect the Company’s client base, partners, subcontractors and suppliers and could materially affect its remaining performance obligations, revenues, net income and ability to secure and maintain financing; (gg) fluctuations in commodity prices may affect clients’ investment decisions and therefore subject the Company to risks of cancellation, delays in existing work, or changes in the timing and funding of new awards, and may affect the costs of the Company’s projects; (hh) inherent limitations to the Company’s control framework could result in a material misstatement of financial information; and (ii) environmental laws and regulations expose the Company to certain risks, could increase costs and liabilities and impact demand for the Company’s services. The Company cautions that the foregoing list of factors is not exhaustive. For more information on risks and uncertainties, and assumptions that could cause the Company’s actual results to differ from current expectations, please refer to the sections “Risks and Uncertainties”, “How We Analyze and Report Our Results” and “Critical Accounting Judgments and Key Sources of Estimation Uncertainty” in the Company’s 2017 MD&A and as updated in the first, second and third quarter 2018 MD&A. The forward-looking statements herein reflect the Company’s expectations as at the date of this press release and are subject to change after this date. The Company does not undertake to update publicly or to revise any such forward-looking statements, whether as a result of new information, future events or otherwise, unless required by applicable legislation or regulation.